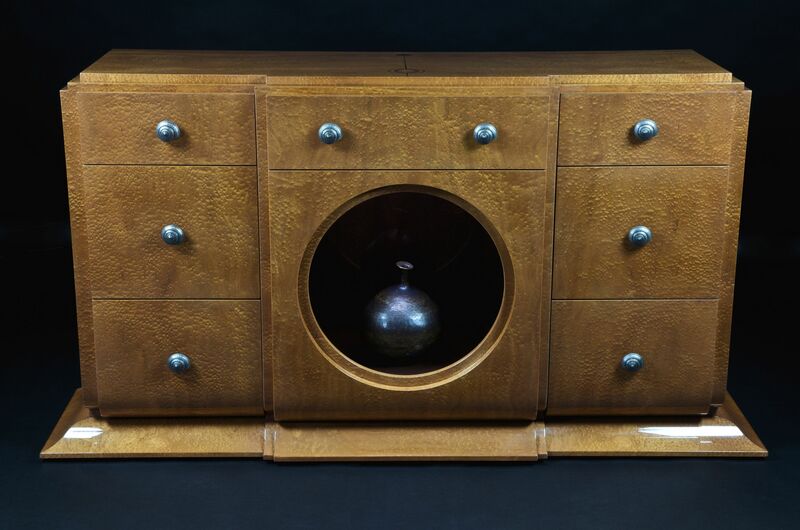 This is a redesign of an Andre Arbus console originally designed in the late 1940's. I resized the piece to fit my customers entry in San Francisco, used Pomele Sapele veneer, and added the round display area with LED lighting. It is a one of a kind piece but could be resized, use different wood, etc, for each customers unique use.